Gordon was born in Goldsboro NC and ended up in Raleigh by the sixth grade. She graduated from Broughton High School and attended St. Mary's for a year, then attended UNC-Greensboro. She married in early 1950's but her husband tragically died in a 1958 plane crash. She moved back to North Carolina -- with four young sons -- and settled in Chapel Hill, in her words, "the finest place in the state." Gordon left Chapel Hill in 1972 for Tiburon CA and started working in administration for an architectural landscape firm. Later on, she got a real estate license and started buying houses and remodeling them. From the 1980's until retirement she worked for her son in commercial real estate. She lives in Mill Valley CA. 1958 - The Harriet Gordon House, 308 Woodhaven, Chapel Hill. Sold in 1960 to Anne B. Scarborough. Sold in 1962 to Vincent Cantarino. Sold to Frederic and Joanna Dalldorf. Sold in 1996 to David and Amy Zurbach. Sold in 2004 to Patricia Knight and Kenneth Felder. Photo by Susan Ward. 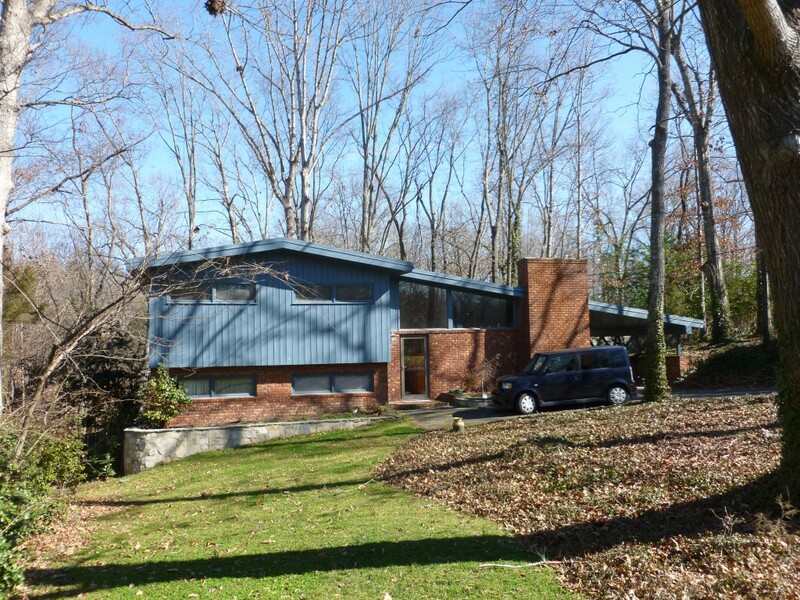 1960 - The George Vennart House, 312 Woodhaven, Chapel Hill. Sold in 1965 to John A. Dowling. Sold in 1967 to William B. Radcliffe. Sold in 1973 to Fredrick K. Wilbur. 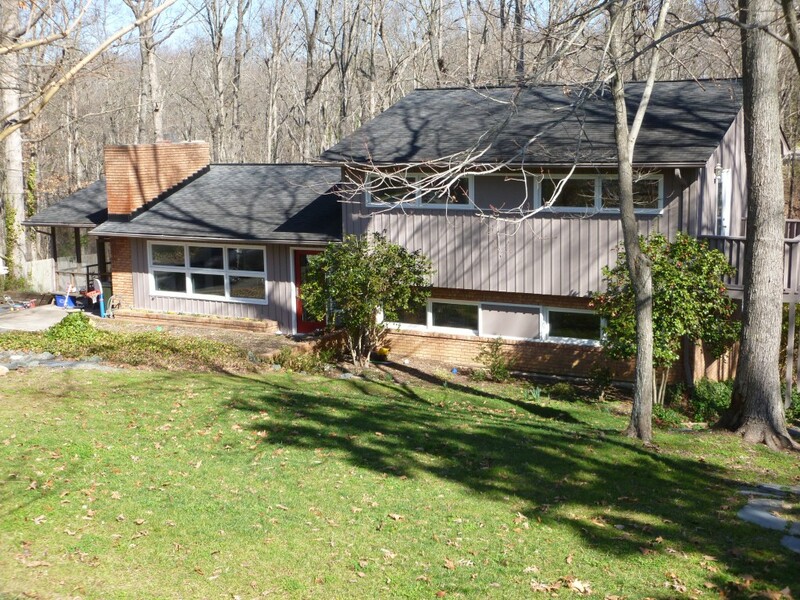 Sold in 1976 to Sally M. Rogers and Rinaldo Walker. Sold in 1986 to Jerry and Ellen Goynias. Sold in 2008 to Katya Schultz and George Chase. Photo by Susan Ward. 1960 - The Irene H. Buensod House, 309 Woodhaven, Chapel Hill. Sold in 1963 to Charles Milner. Sold in 1994 to Thomas and Terry Manthey. Sold in 1998 to Kenneth and Joyce Felder who still owned it as of 2012. Photo by Susan Ward. 1961 - The Anne Birgel House, 608 Shadylawn, Chapel Hill. 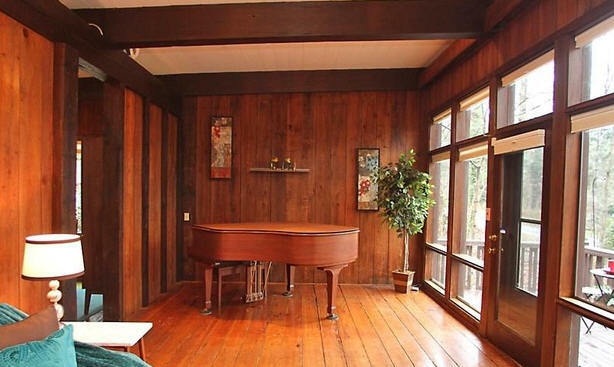 Sold in 1961 to Oliver and Nancy W. Allen. Sold in 1967 to Donald and Sylvis Stanat. 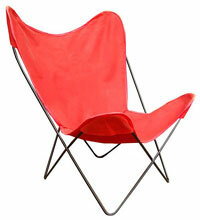 Sold in 1972 to Carl and Carolyn Blackman, Jr. The house blew up because of a gas accident in the street line. 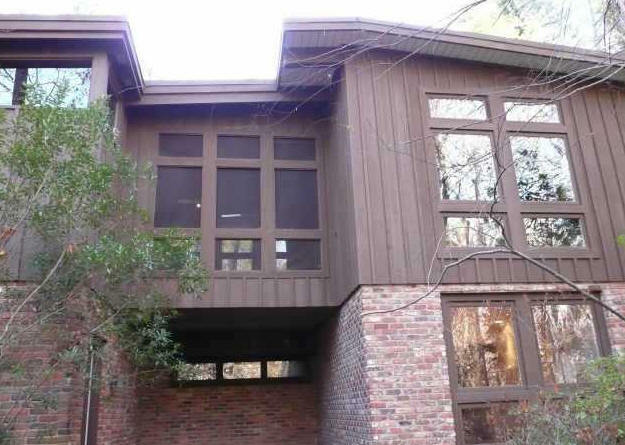 Sold in 1976 to Goforth Properties. 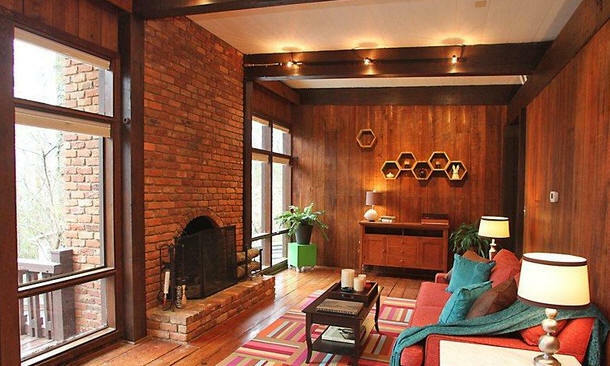 Rebuilt in 1976 and sold in 1977 to Eugene and Carol Orringer. Sold in 1995 to William and Susanne Lovelace who still owned it as of 2012. Photo by Susan Ward. 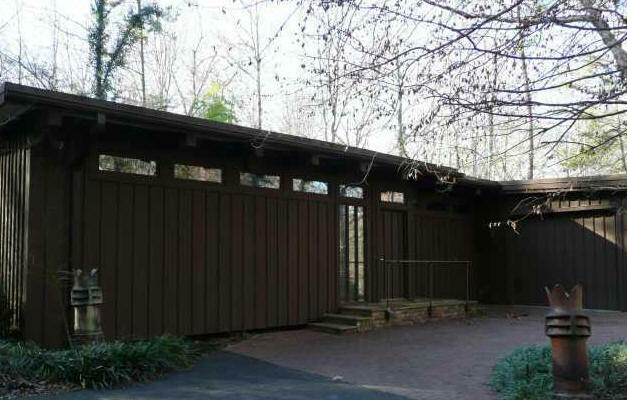 1962 - The Charles I. Shaeffer House, 604 Shadylawn, Chapel Hill. Sold in 2009 to Shaun A. and Arthur Bruemmer. Photo by Susan Ward. Sold in 2015 to Shabnam Hakimi and Karl Woodward. 1962 - The Vera Campbell House, 320 Woodhaven, Chapel Hill. Sold in 1965 to Myron Liptzin. Sold in 1971 to Donald Deans. Sold in 1972 to John H. and Virginia Martin. Sold in 1975 to John H. Martin. Sold in 1980 to George and Dorothy Gamble. 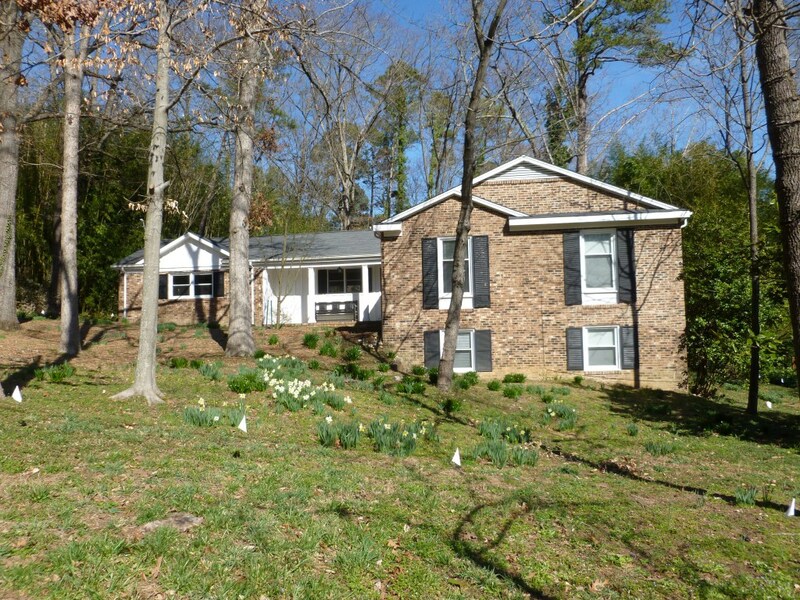 Sold in 2005 to Mark and Ashley Etheridge. Sold in 2008 to John and Christine Hollywood. Sold in 2010 to Mona F. Hassan and Mustafa O. Tuna. Photo by Mona Hassan. 1962 - The Harriet Gordon House, 2001 North Lakeshore Drive, Chapel Hill. Sold to John C. and Margaret M. Cassel. Sold in 1977 to Cecil M. Gayle, Jr. Sold in 1980 to George M. Lyon, Jr. Sold in 1991 to Daniel and Genene Uyesato who still owned it as of 2012. Photo by Susan Ward. 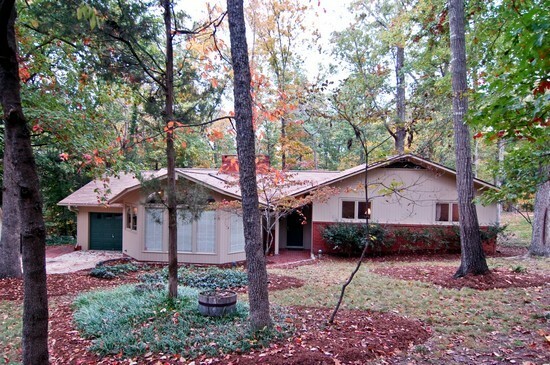 1963 - The George W. Adkin House, 608 Arlington, Chapel Hill. 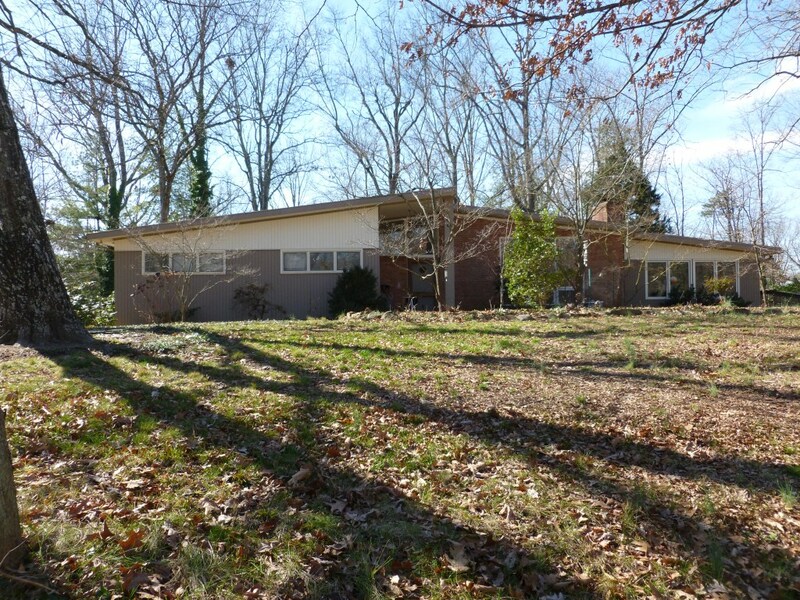 Sold in 1970 to Carl G. and Faye D. Pickard, Jr. Sold in 1997 to Merle Mishel and Mary R. Lynn. Sold in 2015 to Christine and Jacques Watters. 1964 - The Mary Lou B. Wheeler House, 604 Arlington, Chapel Hill. Not a Modernist house. Sold in 1989 to Margaret B. Wheeler. Sold in 2004 to Jeffery Rupkalvis. 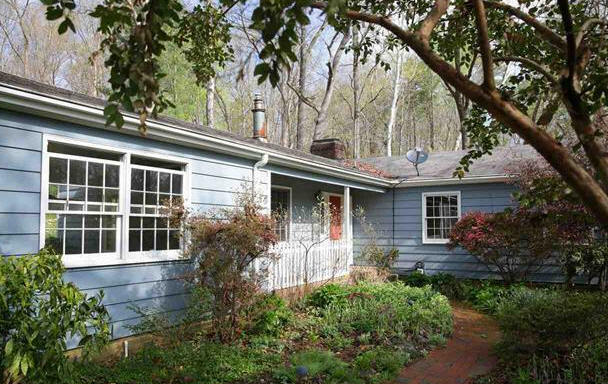 Sold in 2008 to Christopher Bonzon and Amy E. Anthony. Top photo by Susan Ward. Sold in 2012 to Amanda and David Greer. 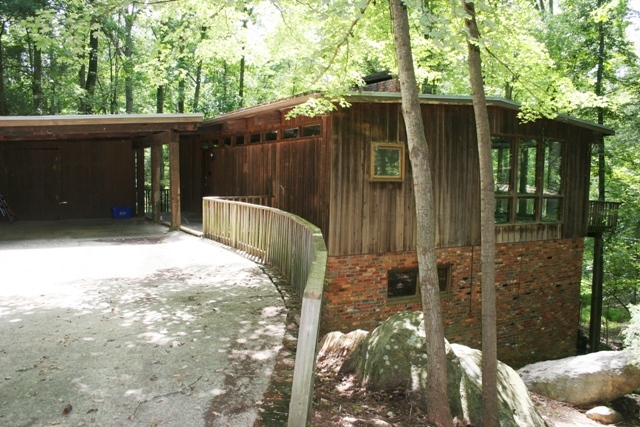 1967 - The William E. and Helen M. Jenner Residence, 809 Shadylawn, Chapel Hill. The core of this house, like the Vincent Lolordo house, has areas of the same stone floor, as well as wood flooring, and cedar and cypress interior panels. Deeded to Helen Jenner in 1973. Sold in 1996 to artist Maud F. Gatewood. 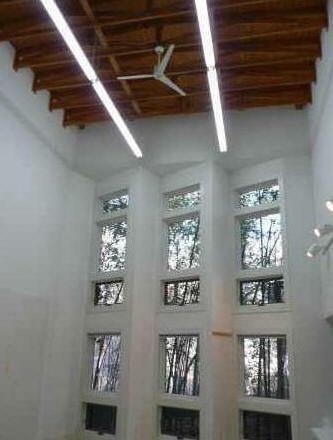 From 1996-1997, Gatewood renovated, adding on an art studio, bottom photo. The kitchen was completely redesigned, and built out another few feet requiring the removal of a supporting wall. 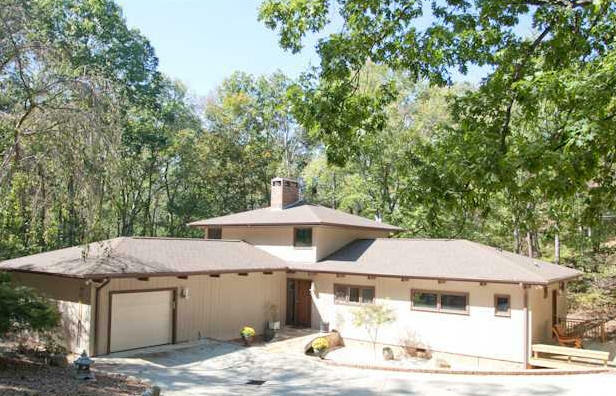 Also included was an additional garage, enclosure of a carport, a sun room of the great room, a deck, and part of the downstairs area was converted into an apartment - all designed by Richard Hall and built by Stan Stutts. Willed to UNC Greensboro in 2006. Sold in 2008 to Michele Natale. 1967 - The Harriet Gordon House, 607 Shadylawn, Chapel Hill. Sold to J. Stacy and Antoinette Adams. 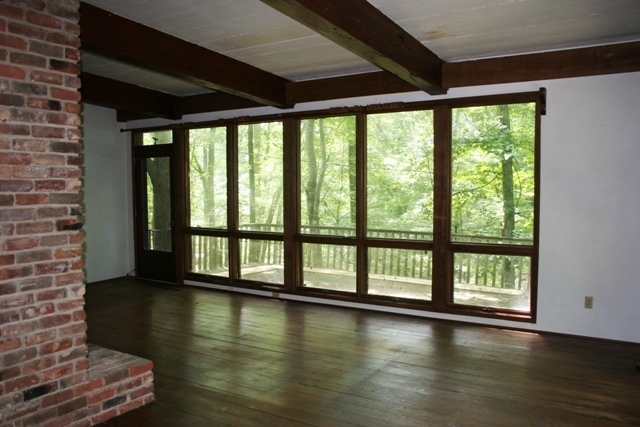 Features Virginia fieldstone floors, old beams, and floors from Hillsborough. Sold in 1972 to H. Garland and Rae G. Hershey who still owned it as of 2012. Photo by Susan Ward. 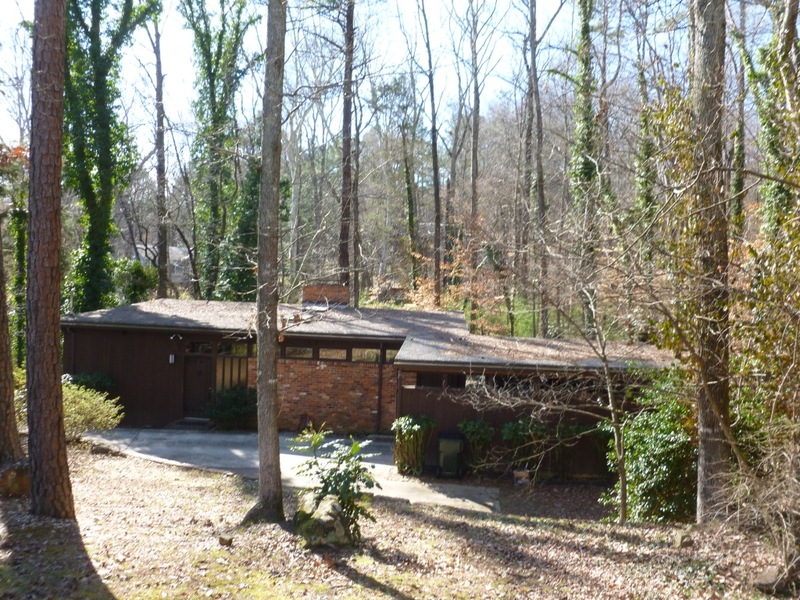 1967 - The Vincent Lolordo House, 617 Shadylawn, Chapel Hill. The house has beams from an 1890 tobacco barn in Winston-Salem, Tennessee crabapple orchard stone in the foyer floor, a main plank wood floor from an 1776-era old boys school in Winston Salem, and exterior siding made of cypress from Scotland Neck. 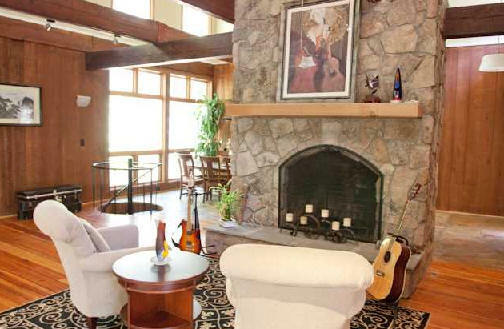 Sold in 1973 to Judy and Paul Shinkman. Sold in 2012 to David S. Moore. Sold in 2016 to Chloe Seymour and Harrison Haynes. Sold in 2017 to Megan and Peter Patnaik. 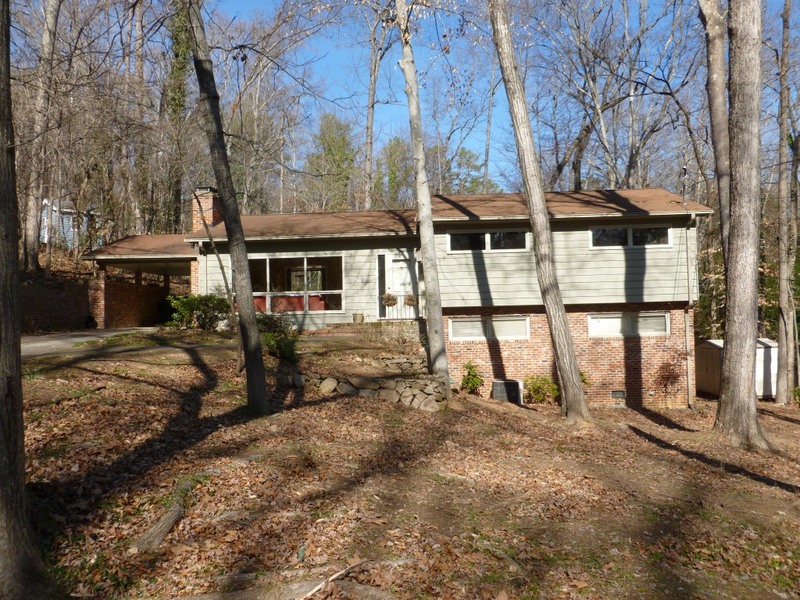 1968 - The James E. and Shirley Littlefield House, 409 Ridgecrest Drive, Chapel Hill. Sold in 1984 to H. Copland and Alice Robinson. Transfered to Robinson heirs. Photo by Susan Ward. 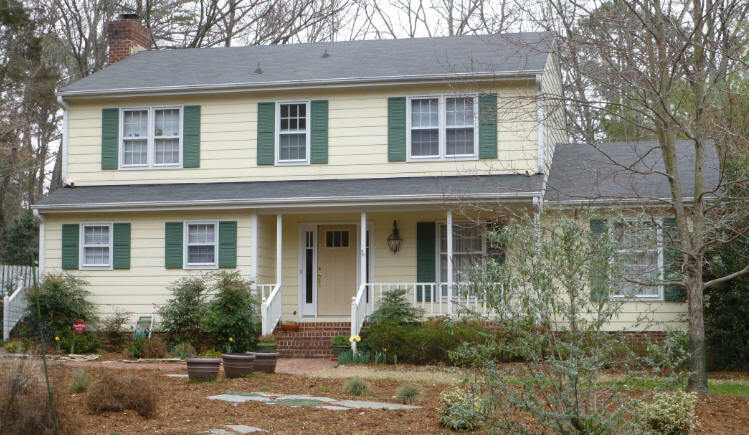 Sold in 2012 to High Point Properties LLC. Sold in 2015 to Timothy S. Wood. 1969 - The Harriet Gordon House, 417 Ridgecrest, Chapel Hill. Sold to Marvin Tyan. Sold in 1977 to Michael and Ronnie Swift. Sold in 1979 to Gilbert and Judy White. Sold in 2004 to Nghia and Thanh Ma. Sold in 2011 to Igor and Albena Ivanisevic. 1970 - The Harriet Gordon House, 413 Ridgecrest, Chapel Hill. Sold in 1971 to Fred Summers. 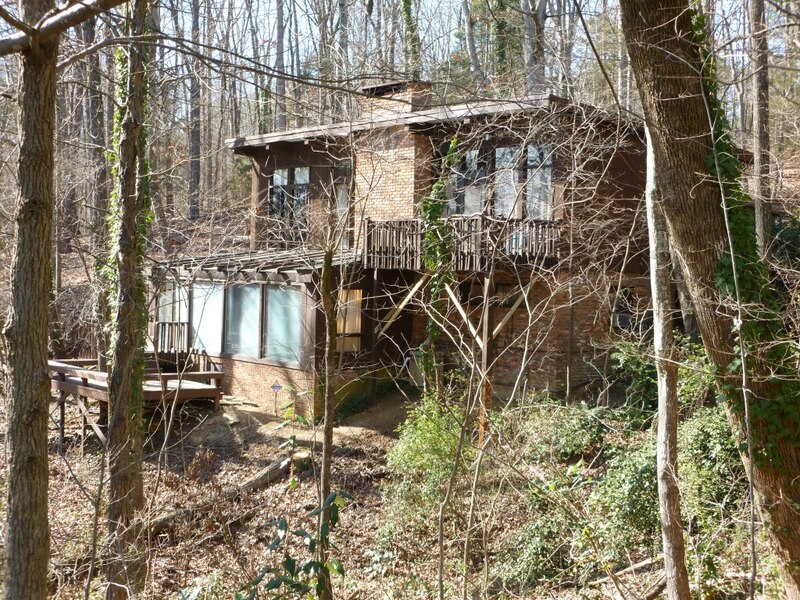 Sold in 1974 to Carl P. and I. Elizabeth Worley, Jr. Sold to David M. and Polly Warner. Sold in 1988 to Thomas N. and Christine Cochran. Later deeded to Christine Cochran, now Christine Shooter. Photo by Susan Ward. Sold in 2015 to Lynne Yellin and David S. Cohen. 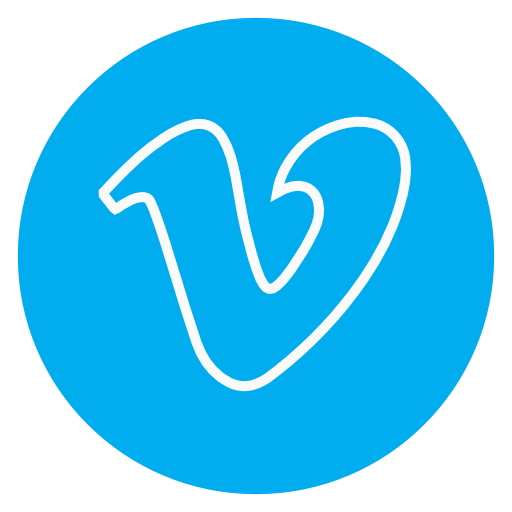 Sources include: Harriet Gordon, son Mark Gordon, Kitty Stockton, Tom Heffner, Michele Natale, Joe Rowand, Richard Hall, Diane Lea, Chris Senior, Patsy Owens, and Rae Hershey.